Justice Charles Levin was elected to the Michigan Supreme Court in 1972. He was continually re-elected until his retirement in 1997. Justice Levin graduated from the University of Michigan and the University of Michigan Law School. He was admitted to the Michigan Bar in 1947. 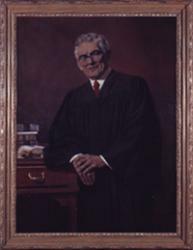 In 1966, he was elected to the Michigan Court of Appeals, where he served until his election to the Michigan Supreme Court.